How do you know when you’ve “arrived?” We are always working towards new goals; especially at this time of year. There seems to be an endless list of goals we can pursue to better ourselves, but has working towards a goal kept you from being content in the present? When goals aren’t kept in check, when they consume us, these good and healthy goals, become our undoing. We can’t enjoy where we are because we are too consumed with where we want to be. I’ve personally struggled I struggle with keeping a balance between contentment and working hard towards goals. When we are working towards goals, we are looking forward. It’s in our goal’s best interest to push forward, to be constantly moving. It’s all great, until one day you realize you missed just being present and content in the moment. To clarify, I’m absolutely FOR having goals. Write them down, create accountability, do all the goal-oriented things. But like most things in life, there is an equilibrium to be found. I believe that people benefit from being creative and working towards something. However, we are also called to be content in every season of life; even if it’s a waiting season. It might be just me, but I’ve never stumbled upon contentment. I have to purpose to be content. Here are some things I’ve learned through this journey of balancing goals and contentment; I hope you find them helpful! The first thing to do is take responsibility for the choice of our disposition. We are the only ones who can choose whether or not we will pursue contentment. 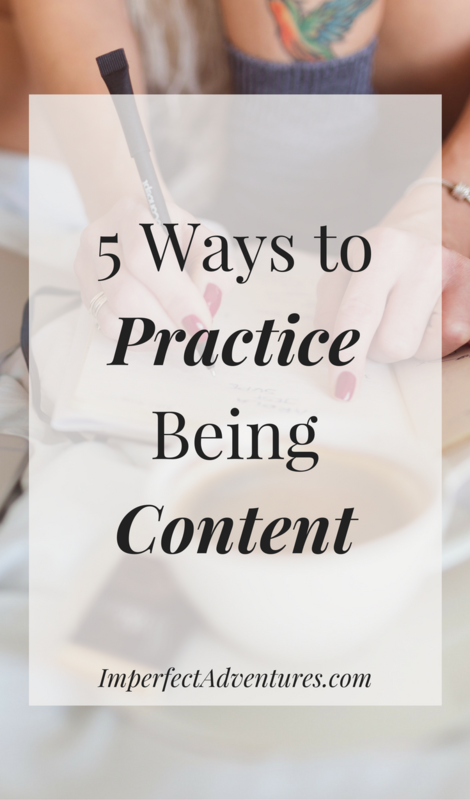 Contentment is not determined by a number in the bank or a car in the driveway; it’s on us. Taking responsibility obviously isn’t the most fun thing. But the sooner we embrace the reality that a large part of contentment is in the choice of our disposition, the sooner we can find contentment. Paul writes in Philippians that he has “learned” to be content. This is a relief; I didn’t miss out on being born with the contentment gene! It’s a learned practice, a muscle to be exercised. The more we practice, the more naturally it comes. It’s not always east to be content. There are legitimately rough patches in life, but contentment doesn’t come from an idealistic environment. Rather, it is knowing that “I am as God would have me.” Each season of our lives is used to mold and shape us; even the tough ones. So, if a large part of contentment is choice, can we just flip a switch and find contentment? I can’t, but if you can, that’s awesome! One of the practical choices we can make is to focus on what we can be grateful for. What are some things we take for granted? The list of things I take for granted is much longer then I care to admit, but that can be a blessing in disguise! Think of it as having a large arsenal of potential gratitude! Gratitude is a practice in mental self-control. When my mental grumbling and complaining start, it’s an opportunity to exercise the self-control muscle; choosing to re-direct my thoughts to gratitude. 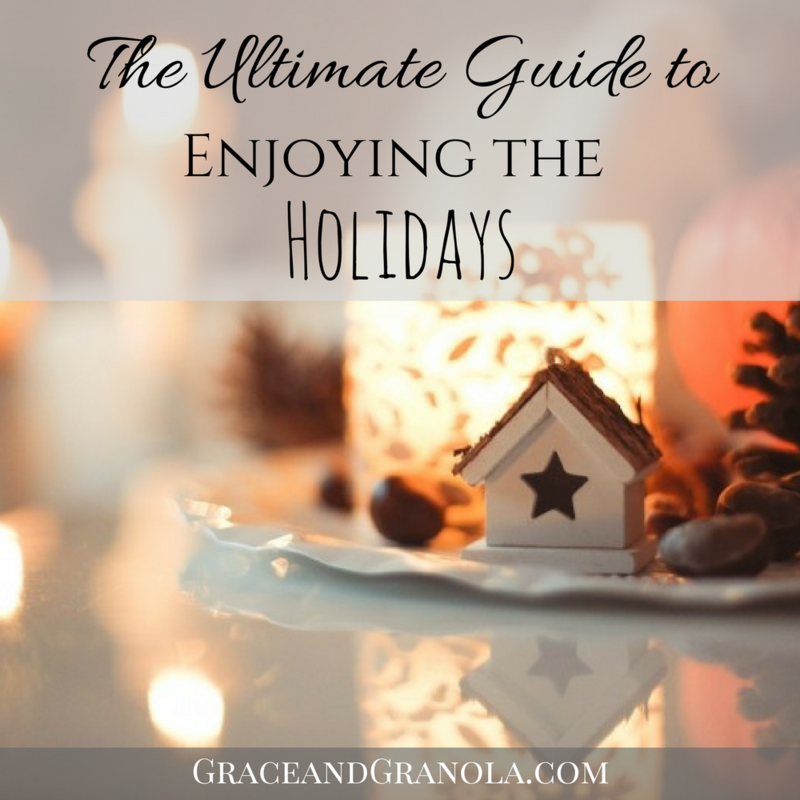 While we are working hard and pursuing our goals, let’s practice gratitude in the journey. We can be grateful for the opportunity and ability to try, the people supporting us and the progress we make. We can even be grateful for our setbacks, because arguably we learn more from our setbacks then our accomplishment. Comparison has two results. First possible result: we come up better, and in turn, think of ourselves as better than the person we are comparing ourselves to. This is bad. Obviously, because now we are (in our own heads) higher and mightier than this other person. Also, because we are losing our ability to relate with them, and even empathize with them. If we think we are better than someone, it’s easy to lose grace when viewing them. One of the resulting thoughts (which I am completely guilty of) is, “That could never happen to me.” This thought can have other context, but personally, it’s always been born of “thinking of myself higher than I ought.” (Reference to Romans 12:3). The second possible result is that the other person comes up better. Now, we most likely, resent them. We can no longer be happy for their accomplishments, provisions and progress. We make excuses in our head for why so-and-so got this and we didn’t. In my head, it usually isn’t because they worked harder, but because of some ridiculous streak of luck they had, and hey, why can’t I have that luck?! On occasion, I have personally lost the ability to be happy for friends and family because of the green-eyed monster of jealousy, and it takes focus and prayer to come back from that. It’s an area in which the Lord is constantly helping me. So, if we are pursuing a goal, it is in our (and everyone else’s) best interest to not compare our goal and progress to someone else’s. As your work to choose contentment, focus on gratitude, and stop comparing; an important tool is to avoid temptation. The temptation to be discontent, un-grateful and compare ourselves is saturated in our daily lives. Obviously we can’t avoid everything that feeds those things, but let’s be mindful of the things we can control. Be aware of the person in your life who seems to encourage grumbling and complaining. If you’re aware that they aren’t helping your effort to be more content, you can change the conversation when it turns to grumbling and complaining. Notice the things that consistently make you comparative or even resentful. It’s an opportunity to exam your heart in regards to those things. When we actively work to clear our discontentment, we are actually more free to gracefully pursue our goals. A large part of this is knowing your own heart and having discernment. I’m a Christian, so I believe that contentment ultimately comes from Christ. The best thing we can do to balance contentment while pursuing our goals is to come before the Lord in prayer. To pray about our goals, giving them to the Lord, while asking for contentment. To ask the Lord to align the desires of our hearts with His will and give us wisdom and discernment. Prayer isn’t always meant to be an isolated activity. You can ask a close friend or family member to be praying for you as your pursue your goals. It’s also a wonderful opportunity to ask how you can be praying for their goals. I would love to connect with you and be praying for your goals. You can e-mail me here. I’d love to hear from you! This was a timely and needed read. Thank you! Thanks Steph! Your monogrammed converse look really cool! YESS to all of these!! I agree more than you know. I was just telling myself yesterday to STOP comparing myself to others! Glad I am not alone – thanks for sharing!! You are absolutely not alone! It’s a daily struggle. I looked through some of your blog archives and you have some great money saving tips! I look forward to reading more. Girl, I needed this badly! I often find myself upset because I have to work a full time job while my passion is in my blog. But really and truly, I need to be grateful for my job that is allowing me to be on my way to my bigger goals. This is just a phase in life and with some persistence and dedication I will have my dreams come true! Tiffany, that’s amazing that you work full time and blog. Your blog design is beautiful; keep at it, you’re doing a great job! Such a needed read this morning!! Thank you for sharing. I love the quotes thrown in too (I am a quote freak)! 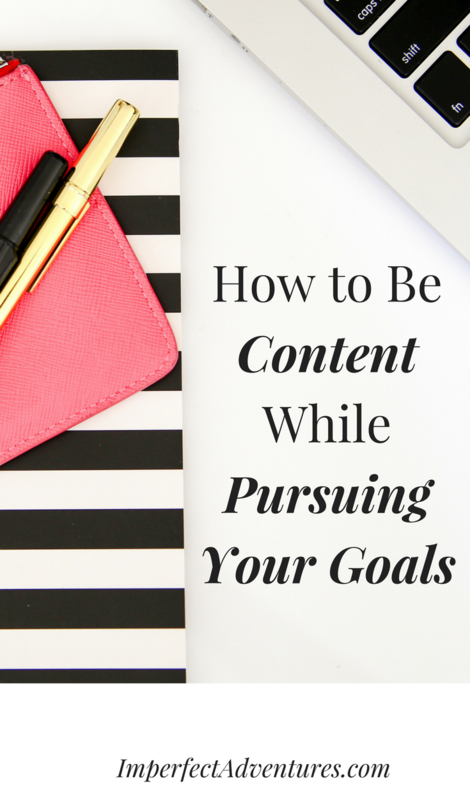 I am so guilty of forgetting that reaching goals is a process and to be content as I work to reach them. My heart needed these reminders!! Happy Friday!! I definitely needed to read this today. In so many ways my life is exactly how I hoped it would be, but I still struggle with working toward a goal that unfortunately, I don’t have a lot of control over. I pray for changes and blessings to help make things happen, but I feel discontent in the waiting for an unknown date. Starting today, I will ask for God to help me be content in my waiting, knowing that when things are meant to happen, they will happen. Thanks so much for posting. That’s a great mentality Kate; I’ll be praying with you. THis is so great! Contentment is so hard but these tips and verses are so helpful for staying focused! Yes! Contentment is one of my goals for this year. And I agree – we are completely in charge of our disposition. I remind myself of that every single day! Fabulous reminders. I recently read something about comparison that really struck me. Essentially, the person said, “If you must compare, compare the person you are today to the person you were yesterday and see how much you’ve grown.” I think that being mindful of all that we’ve learned previously and the progress we have ALREADY made can help us to be more patient with ourselves as we strive to continue that journey. I love that, Meg! I definitely want to keep the concept of comparing who I am to who I was; thanks for sharing! I definitely needed to read this today. Especially the part about comparing. Thank you!! I’m so glad it was helpful Vicki! Lauren, this fed my soul! Thank you. As mompreneurs with big goals it’s so easy to get restless and frustrated with how little time we have to pursue them. But when Christ is the center, everything falls into balance. SO good to keep things in perspective to prevent regret later on. I’m so glad Corina! Yes, I think it’s even harder when you’re a mompreneur with an endless to-do list and a sea of other mompreneurs. I’ve really enjoyed your blog by the way, thanks for stopping by! I absolutely love your heart, Lauren. Practicing gratitude and not worrying are so important while pursuing life goals. At times, its not easy but God makes it all worthwhile 🙂 And amen to the power of prayer! You’re so sweet Amy! Yes, prayer is so powerful. This. This is so good. Thank you! I struggle a lot with this. I feel like I can’t rest until I meet my goal. I know that’s not how it’s supposed to be, but that’s really what I feel. I’m going to start praying about it, because it’s something I really need help with. Thank you for this. Thank you for this post as it is a great reminder. We have to be more grateful for our successes. This is always a difficult thing to accomplish – but it’s so important! Thank for sharing! This was such a great read and exactly what I needed for the new year! I think it is so important to be content with where you are in life because it is exactly where God intended you to be. 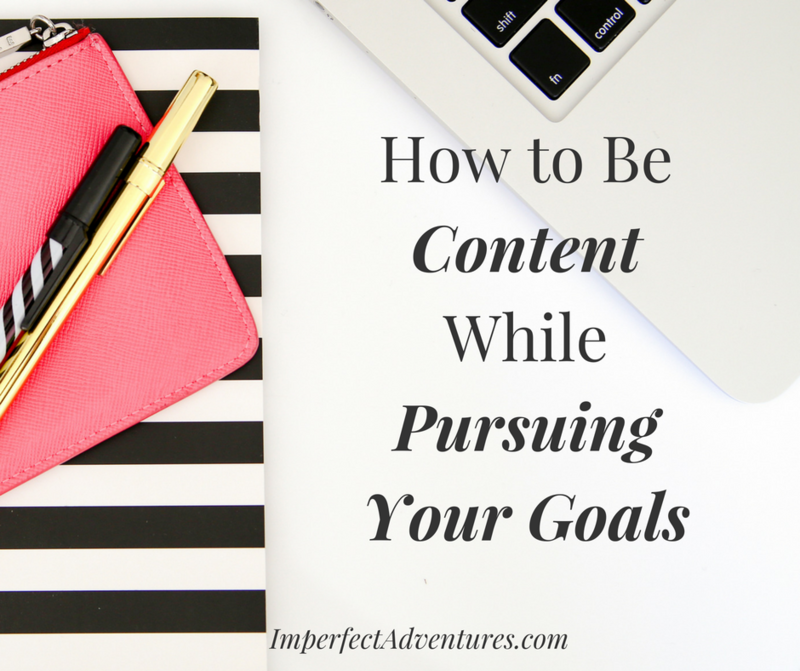 I struggle with finding contentment as well and I am so glad I came across your post for a refresher. Thank you! Thanks Nichole; I’m glad it was helpful! This is excellent! Gratitude, don’t compare and prayer are the three that help the most, but the three I struggle with more frequently. I appreciate this beautiful reminder of what is important. Thank you! 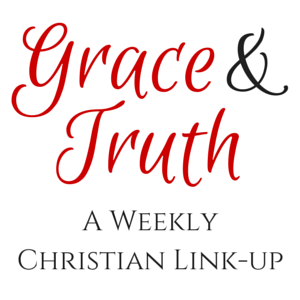 I love how you talked about this from a Christian perspective! Contentment while seeking to reach goals isn’t something that I had really thought about before, but I love every single point that you make. Loved this and it was timely for me. I have really bern praying a lot lately about being content while still growing. Your tips and scriptures are so on point.